This is the second post of 2 from DMAB participating in the Reverse Thieves’ Secret Santa Project for this year. When Bartender first came out in 2006, I watched the first episode, felt like I’d get back to it, and never did until now. Probably because around that time I was still one year away from legally being able to drink. To be honest, I feel like it was a good thing that I waited to watch the show, since I’m not sure that I really could get it back then. And I’m not even sure that I totally get it now, since I don’t even really drink that much (I can count on my hand the amount of times I’ve had alcohol this year. That’s more than usual, and always a little bit of alcohol that was never enough to even give me a buzz. But I digress). However, I could get the general idea at the time; the experiences of a young bartender at a secluded bar in the Ginza strip known to produce a Glass of the Gods. 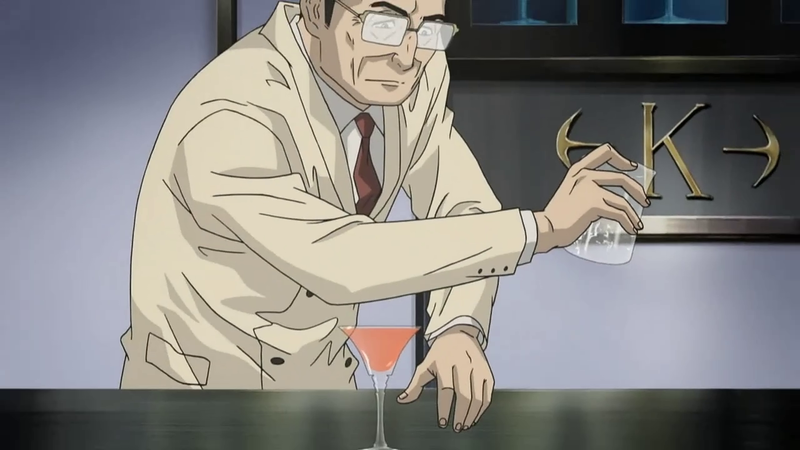 With this ability, the bartender, Ryuu Sasakura, from his interactions with the consumer was always able to think up and execute creating a drink (with godly skill) that managed to suit the customer’s needs. From this main point, we get a show that has definitely increased my respect of alcohol and of bartenders. To a large extent, I feel like they romanticize the job and the things that one has to go through in order to be a bartender, as well as the significance of the bar and of alcohol itself. From the show, it comes off that the right drink can do a lot of things, including helping one reconcile with the past, friends or their own self and their mistakes/shortcomings; convey feelings that one might have lost or is trying to express; break awkward situations or tensions to a more relaxing stage, and help regain one’s confidence or drive. Of course, in order to have the right drink, the bartender must also guess correctly in that regard, from an infinite number of variations of one liquor, not to mention mixes, glassware and all that jazz, to whatever mood the person is in, what the person expects coming in, as well as what the person needs above all of that. It can get very complicated quickly, and in Ryuu’s case, he almost always knows what to server, as well as to explain what it is about the drink that suits that specific person’s case. Yet besides that, Ryuu performs many other roles that a bartender is apparently supposed to do: listener, people observer, truth teller, matchmaker, advice dispenser, showman(woman), tension killer, taste tester, imagination machine, and so on. To have so many hats indicates a very involved job, and that’s not even mentioning the encyclopedic knowledge that one has to have with various forms of alcohol, as well as the imagination regarding what drinks to use. That’s in addition to acting as a barrier to the world outside of a bar, while acting as someone who helps to break barriers from within a person. It makes you realize that while all of these roles might not be filled all of the time, being a bartender is a job that’s one of huge responsibility. Showmanship becomes the least of your concerns in this case. But besides demonstrating the job of being a bartender, the show also has a fun time showing vignettes of the lives of many of Ryuu’s customers, as well as Ryuu himself sometimes. It’s an episodic show, but each one has a story to tell with alcohol as a focal point, from a con man trying to see if Ryuu knows what he’s talking about, to a director and scriptwriter using alcohol as a metaphor how far they’ve strained from their idealism in making films, to a politician ready to give it one final go in his career. Bartender tries to drive a point home that all different types of people visit a bar with their own stories, and with their only real intermediary being the bartender. What’s fun about that method is the use of narration to tell the stories, where the narrators vary from fellow bartenders to the customers themselves, even when they’re not related to the story at hand. It helps, since it both reacquaints us with the customers, and provides a point that we might be able to relate too, though it can be hard to do so. This might sounds like a stretch, but Bartender is probably the most “cultured” and sophisticated anime I’ve ever watched. The topic alone makes the target audience a very specific subset of viewers, and there is a large focus on alcohol that would probably turn away people who don’t have an interest in the substance or a desire to learn more about it. And one can learn a lot about alcohol for the show. From the drinks served, to specific forms of alcohol discussed, a lot of history behind them is listed, and often by Ryuu’s customers themselves (who better to know about a drink than the drinkers, perhaps). While the explanations can be done in an interesting way (and often are), the show could probably be listed as infodumps with regards to those descriptions and backstories. And because of the backstories for some of the drinks, there’s a lot of references dropped by characters, from literature like Ernest Hemingway’s “The Old Man and The Sea” or Leo Tolstoy’s “Anna Karenina” to people like François Rabelais. Also, there is a lot of the show spent on the philosophy behind bartending listed in the previous paragraphs (as explained by Ryuu with his own thoughts, but still), and matters such as hospitality and decorum are vital to the position. While they try to keep everything easy to digest, the show isn’t one that you can turn your brain off for to watch by far. 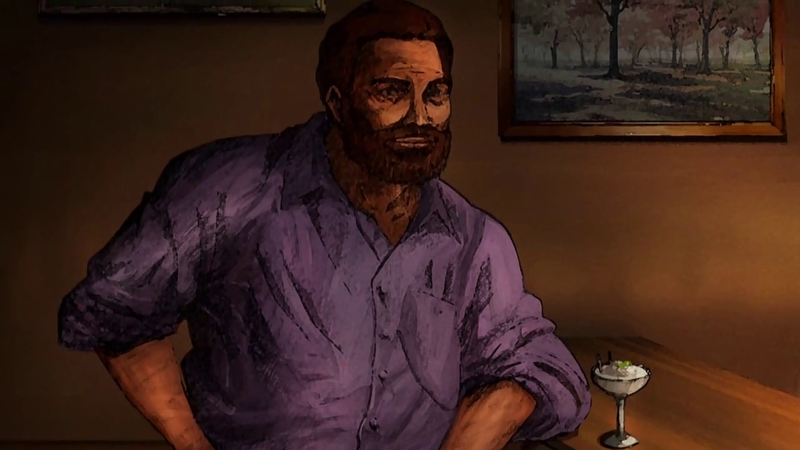 It's Ernest Hemingway with his Frozen Daiquiri! As for other matters, the music is very good in my opinion. While it might fit the mood of a bar well (and thus could probably be seen as something more as music you’d listen to while waiting for someone to pick up, or while in an elevator), the overall smooth jazzy feel is great, and the OP and ED are solid, if not very memorable. The character designs are realistic, and the animation is solid, though minimal, as a lot of time is spent between characters talking with each other. 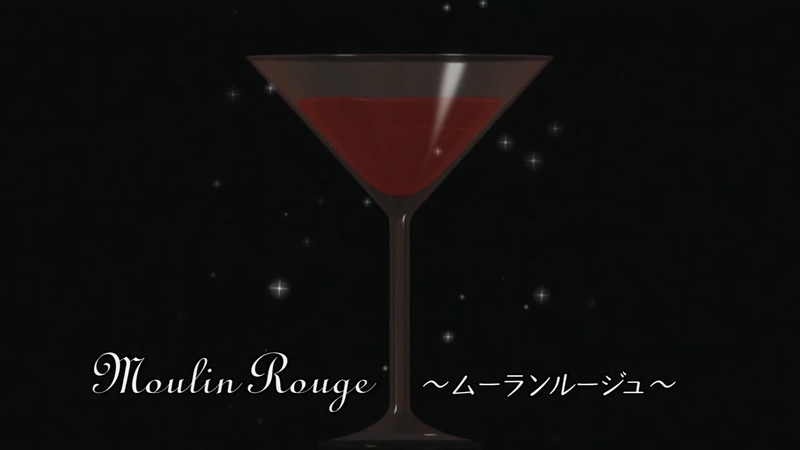 However, there’s a lot of 3D work present in the show used to show of the pouring and mixing of various drinks into the different types of glasses present, and it was hard for me not to want to try a large about of drinks by what I saw on the screen as a result. At the very least, the Moulin Rouge has caught my interest. I watched it when it first dropped as a novelty, and because ADTRW subbed it. Honestly? I felt it was really… cheesy. Maybe I just need to be 50 years old or something. It definitely lays it thick on the whole “one drink cures all ails” shtick. But I think the cheesiness sort of helps the show’s charm. 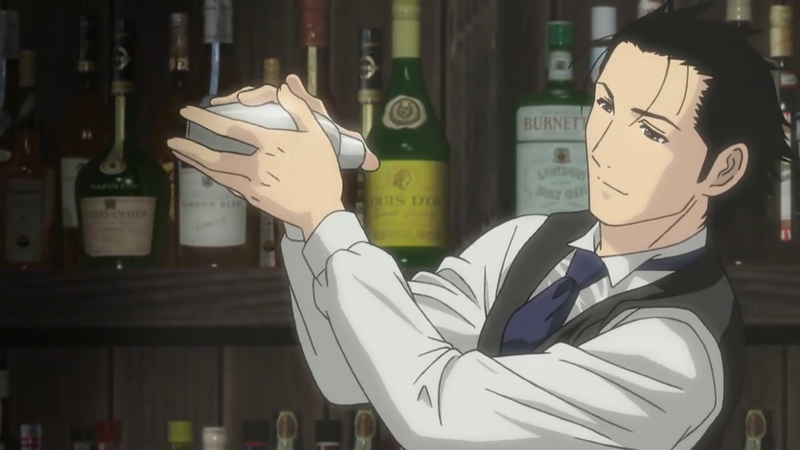 Or at least shows off the general charm of the bartender itself, since they apparently can do anything.